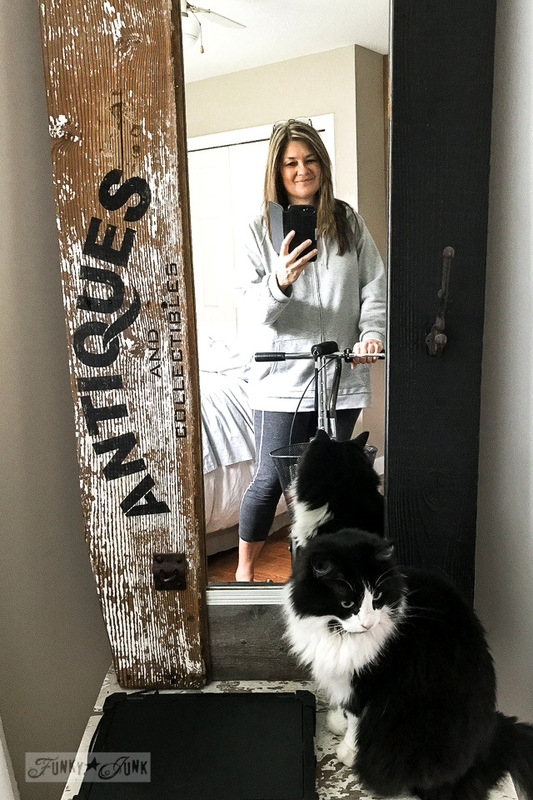 DIY Salvaged Junk Projects 414 with 2 linkups! Well, look who’s up and around! I’m starting to get hungry for real life again too so that must mean things are improving! 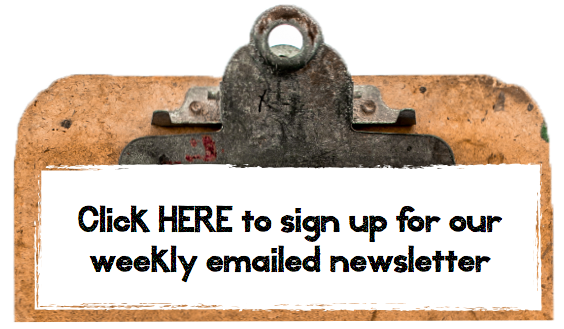 I’ve shared another instalment to my current story HERE as Surgery Day – Part 2. It includes an adorable video clip of my poor brother having to de-cat hair the chair before he got to sit down… how hospitable am I?! 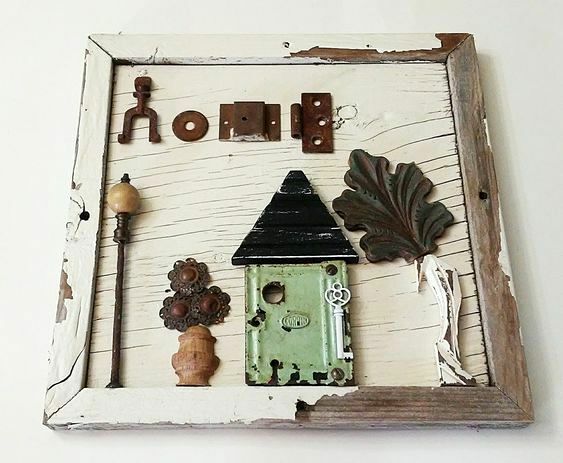 These little junk-styled pictures will absolutely CHARM you. I can’t wait to dig through my stash and see what eventually evolves. My kinda art! 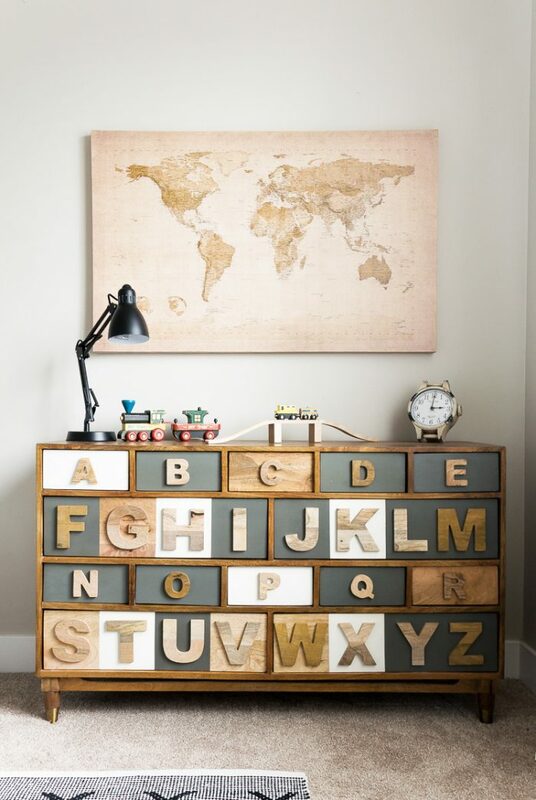 This dresser just hits all the right kiddo notes, does it not? Beautifully themed, styled, and goodness those neutrals get me every time… This entire room deserves your click. So perfect! 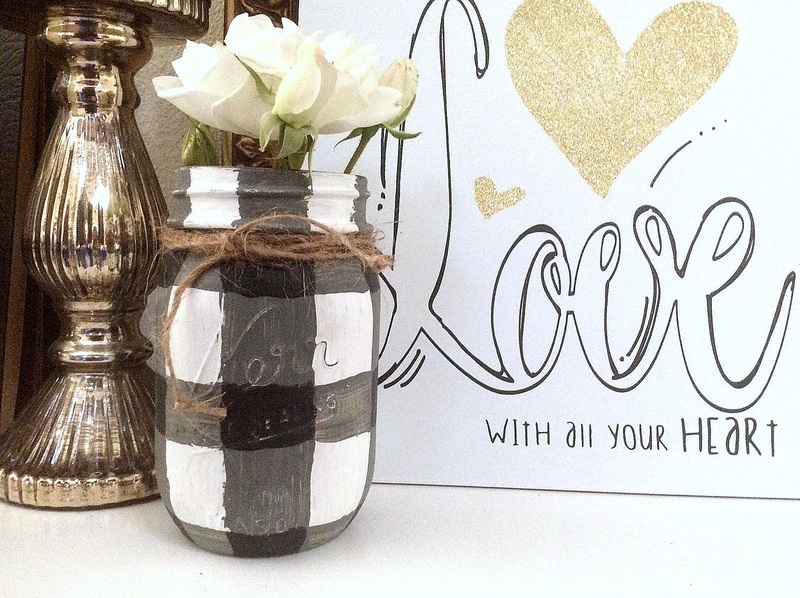 Got a jar and a little paint? This tutorial shows you how to get this quaint look to ramp up any mason jar with an iconic look. LOVE the black and white! 10 years ago, Ms. Deb paved the way and showed us how she did her paper flower Valentines. I am digging these tone on tones with the wood! And here’s another fabulous take! 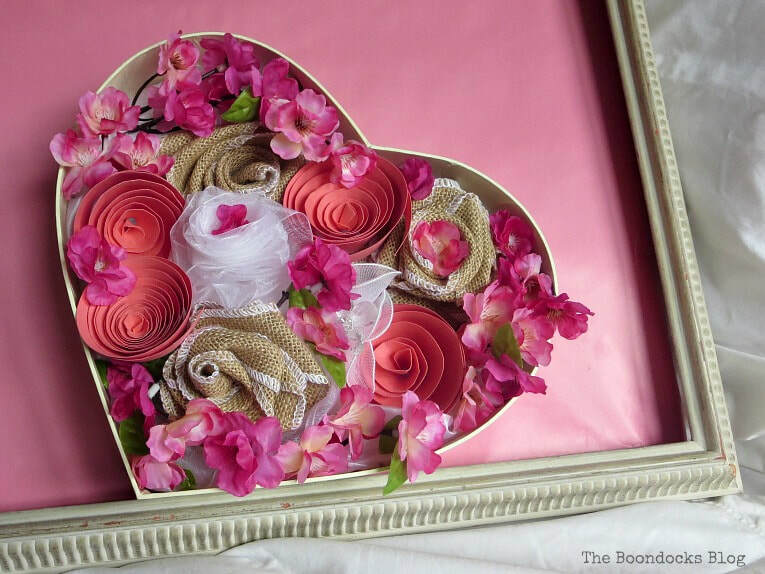 With a mix of fabric and faux flowers, this heart looks more decadent than a box of chocolates! This one comes with a fantastic tutorial. Never have I ever wanted a rusty old blue barrel more than right now. 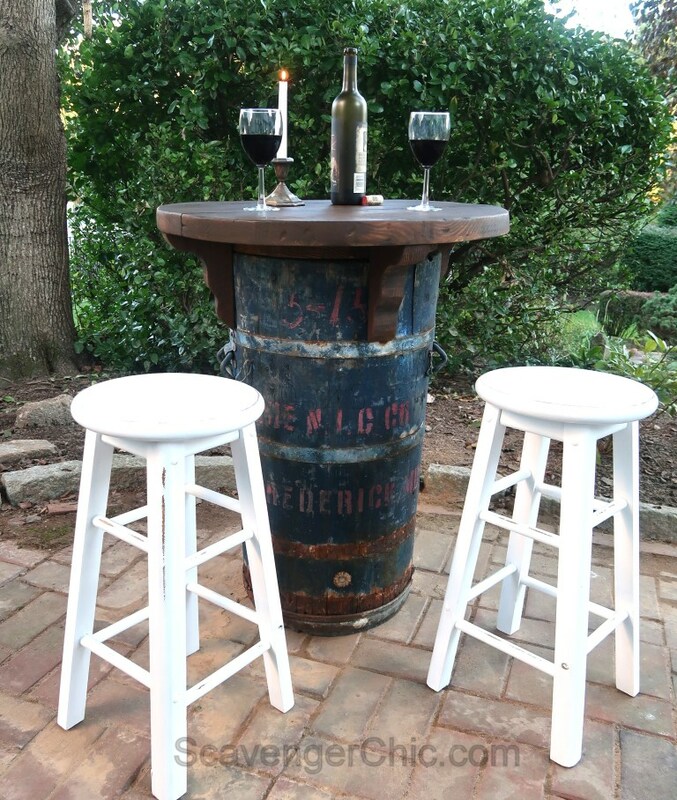 This salvaged bistro table is the ultimate table base! 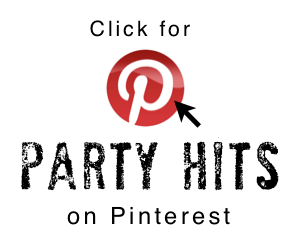 And since we are so close to Valentine’s Day, let’s have a 2nd linkup that’s all about that! 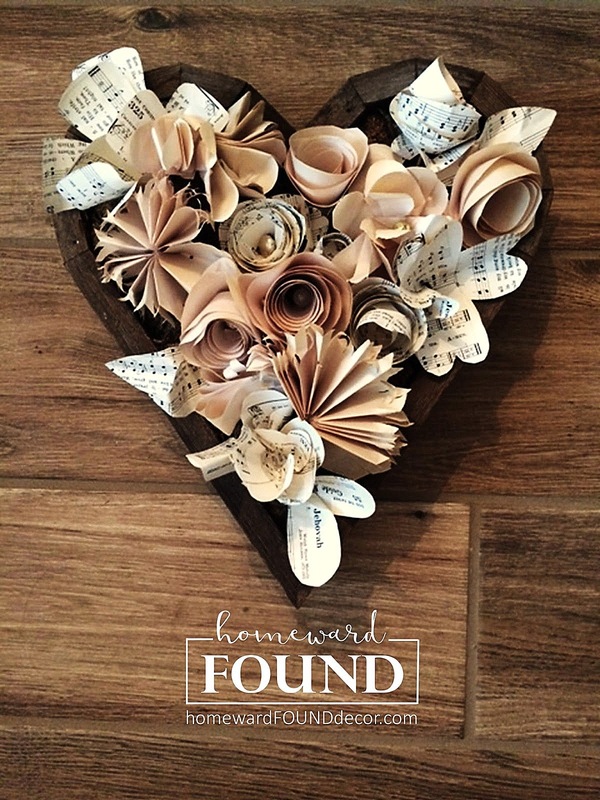 This is a linkup from last year so if you aren’t already on it, please feel free to add all the salvaged hearts you’ve made! I’ll be promoting it separately before Feb 14. This themed linkup is set to display randomly. I love your writing style too! Just stumbled upon you as I’m looking for some inspiration in making a DIY water feature for my yard. Correction….haha, I’m looking for my husband so I can nag him to do it! I need one for the butterflies, toads and birds. Thanks! So good to see you up and about. You make that knee scooter look good. Thank you for the party ! My first time, I’m not sure but I think I was one of the features. It was so exciting to see my project. Can wait for the next party. Wow, a 2 part DIY party today. Your lasagna looked delicious. Cats with their ‘faces decorated’ looked very patient. Thanks Donna for hosting your 414th 2-linkups DIY party today. Hugs. Thank you for hosting the party. I’m glad you are on the mend! Have a great weekend. If you’re looking for something else to watch while you’re healing, if you haven’t watched it yet, try The Marvelous Mrs. Maisel. It’s very funny! Donna that was such a nice morning gift to see my heart featured today. I was also very impressed by Homeward Founds heart, kind of like a rustic version of mine. I hope you are on the mend and taking care of yourself. Have a great weekend. Donna, I am so glad to hear that you are feeling better. You mentioned Heartland…..isn’t that show just the BEST?! The scenery, the horses, and the variety of characters and how their relationships evolve. Love it! Recently found the first 10 seasons on sale for a fabulous price and bought them. Anyway, keep healing and keep creating. You rock! Glad to see you on the mend. Just love your junk style. 🙂 Thank you for sharing my junk home sign. Waving hello from Ontario Canada. Hi Donna, so nice to see you! Happy to hear you are up and getting around and hungry! Awesome features, but this week I am so excited to see my friend Kim! She is one creative gal…what she comes up with is always amazing!